“How is Raju Bista?” is a question doing the rounds in politically fractured and strategically placed hills in Northern Bengal. Resentment, an emotion beyond anger, is the feeling among a section of the Gorkhas in the hills of Darjeeling who feel short-charged by their political leadership. Gorkha leader Bimal Gurung’s faction of the Gorkha Janmukti Morcha (GJM) and the Gorkha National Front’s (GNLF) decision to support Bharatiya Janata Party (BJP) candidate Raju Singh Bista has left the community feeling a sense of betrayal. Political analysts say the move will deepen the divide within political equations in the sensitive border region with hill community leaders calling a “rank outsider and a political greenhorn” for the crucial Darjeeling Lok Sabha seat. Thirty-nine-year-old Bista is a resident of Kangpok district in Manipur. 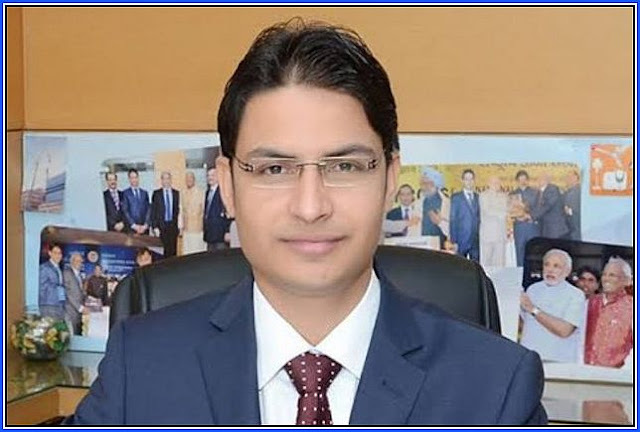 He is the Managing Director of Rs 4,000 crore multinational conglomerate which has products ranging from fans to LEDs and PVC pipes and exports its products to more than 44 countries. Darjeeling has been the nerve centre of a centuries-old demand for a separate state of Gorkhaland for Gorkhas of Indian-origin and other communities living in the hills. Hours after the BJP announced its candidate, the Gurung faction and the GNLF (the party which spearheaded a 28-month-long bloody movement for Gorkhaland) extended their support to Bista, the Gorkha business tycoon from Manipur. Resentment soon started brewing within the ranks of the faction of the GJM’s Gurung faction, which has, since its formation in 2008, been the primary ally of the BJP in the hills. Thapa, a journalist-turned-political and media advisor to Gurung, tells Outlook that the GJM had allied with the BJP considering the fact that it was the first national party that agreed to include the demand of a separate state of Gorkhaland in its election manifesto. “The GJM (then under the helm of Gurung) had put its entire lot behind the BJP to elect two successive BJP candidates—former union minister Jaswant Singh and later, veteran leader SS Ahluwalia,” he says. Incidentally the BJP opened its account in Bengal with the Darjeeling seat and in 2014, the GJM helped elect Ahluwalia by a margin of 1.5 lakh votes. “But over the last 10-12 years, the BJP did not deliver its promise on Gorkhaland. Apart from lip-service, the BJP did nothing to further the cause of Gorkhaland. During the 104-day Gorkhaland agitation in 2017 when more than 14 Gorkhas were martyred, the BJP MP Ahluwalia did not even visit the hills or speak about the highhandedness of the Mamata Banerjee-led Bengal government,” Thapa adds. Thapa says Ahluwalia had been facing criticism for not visiting his constituency in the last five years and also for not being present during the 104 day strike in 2017 when the hills witnessed a shutdown and more than 14 people were killed in violent clashes between Gorkhaland supporters and security forces. Thapa wrote an open letter to Gurung, who has been on the run since August 2017. “It is unfortunate that we have not been able to find an able candidate for Darjeeling who can take up issues on behalf of the people of Darjeeling. A candidate who is able to oppose the high-handedness of the state and assure the people of Darjeeling that he will speak on their behalf, take care of their problems and take forward the primary issue of Darjeeling, which is the issue of Gorkhaland,” Thapa wrote in the letter, which he has since been posted on social media platforms. Analysts say the coming together of the two opponents on the hill is “politics of staying relevance”. GJM and GNLF are parties which have ruled the hills following violent movements for a separate state of Gorkhaland from the mid-1980s till mid-2017.However, with the GJM (Gurung faction) and GNLF combine foisting a “rank outsider” for the Darjeeling Lok Sabha seat, political equations have changed drastically, analysts say. GJM, the power centre of the Hills for more than a decade until now, has undergone a vertical split with the larger faction being led by Binay Tamang and the other by Bimal Gurung. Gurung and his close confidants are implicated in multiple cases and are underground since the shutdown in the hills in mid-2017 that saw the Binay Tamang faction taking over the reins of the hill party and the control of the Gorkhaland Territorial Administration (GTA). It subsequently aligned itself with the Trinamool Congress. “Since then, the former GJM boss has been trying to stay relevant in hill politics by periodically issuing statements on social media and releasing videos clips from “undisclosed” locations, to allay fears of him being forced into political wilderness and to keep, what is left of his support base, intact,” says a Darjeeling-based analyst. Darjeeling goes to polls on April 18 and the last date of filing nominations is March 26.“It was very unfortunate that the hill leadership have become mere puppets in the hands of Delhi and Calcutta. The BJP has taken advantage of the personal compulsions of our leadership,” Thapa says.